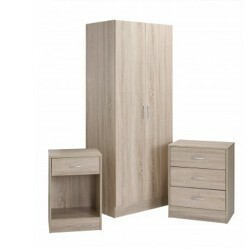 Wardrobe: Height 187.5cm Width 83.5cm Depth 51cm approx. 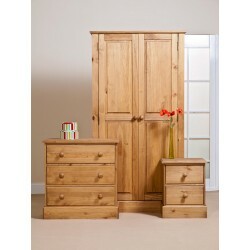 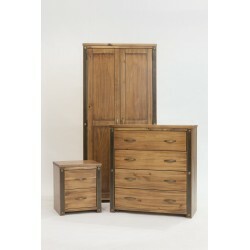 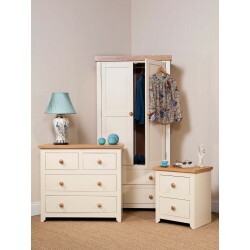 Chest: Height 96cm Width 88cm Depth 45.5cm approx. 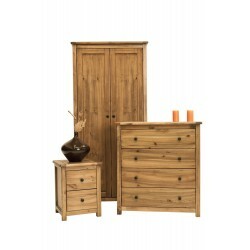 Bedside: Height 66cm Width 50cm Depth 36.5cm approx. Drawers are made from 16mm solid pine fronts with dovetail joints, 14mm solid pine sides and backs with 3.8mm pine faced plywood drawer bases. 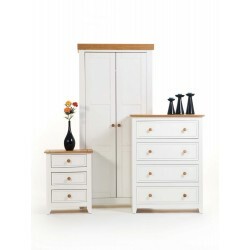 Doors are made from 18mm door frame with 12mm raised and fielded panel insets. Drawer runners are solid pine. 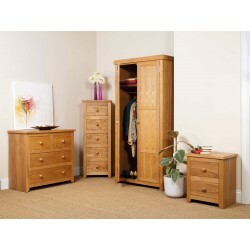 Solid wooden handles. 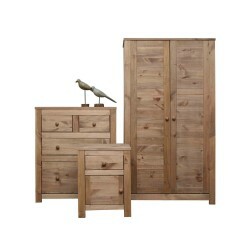 The finish is a spirit based antique stain with a finishing coat of tinted wax effect lacquer.